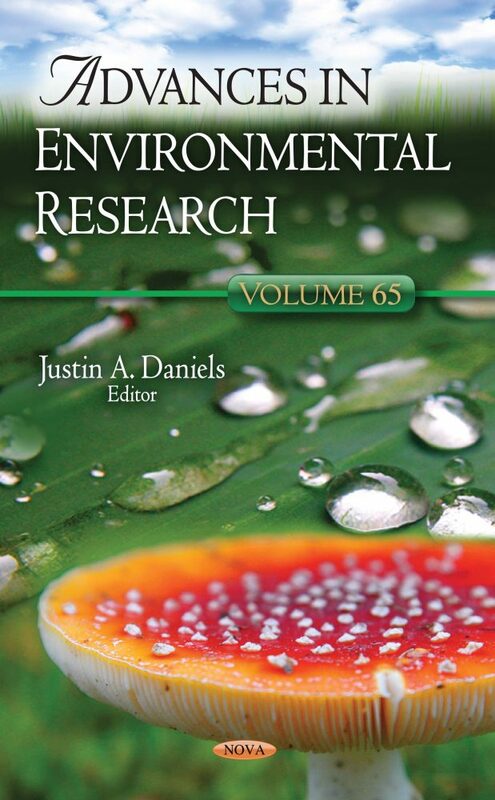 The opening study presented in Advances in Environmental Research. Volume 65 aims to clarify the sources and characteristics of groundwater in the aquifers along the coast of the White Sea in northwestern Russia, and on this basis to perform a broad 14C and 234U/238U dating of all their types, taking into account the mixing processes. After this, the process of thermal conversion of layered double hydroxides into metal oxide catalysts and their applications in selected environmental processes is presnted and discussed. Thermal decomposition of hydrotalcite-like materials results in the formation of mixed metal oxides, which may be examined for their applications in catalysis due to their relatively high surface area, porosity and homogenous distribution of metal cations. The authors analyze Mongolia, a landlocked country located in Central Asia with a population of over 3 million people. Due to the harsh weather conditions, rapid urbanization and mining activities, environmental quality of the country has increasingly degraded as the air, soil and water pollution has surpassed permissible levels. The current situation has a harmful impact on the national economy, social development, health and environment. Later, this collection discusses inorganic solid phase supports, including pristine and surface-modified alumina, Fe3O4 nanoparticles and mesoporous silica extractants, which have demonstrated good retention capacity for naturally-occurring and anthropogenic actinides. The choice to adsorb or tether the ligand on the solid surface is addressed as it is a cornerstone for an effective and selective separation between the actinides and the lanthanides. The concluding paper provides a review of how the national struggle between Slovenes and Germans unfolded, and how it was reflected in the conquest of the summits and in the construction of mountain huts. The events presented mostly focus on the area of Carniola, Slovenia, particulary the area of the Julian Alps around Mount Triglav.